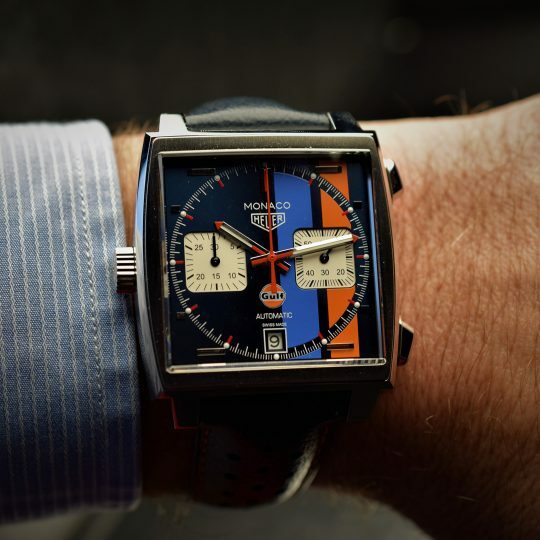 An exciting new timepiece to the Monaco family, the TAG Heuer Monaco Gulf special edition automatic men’s watch celebrates the 50th Anniversary of the Gulf Racing Stripes. 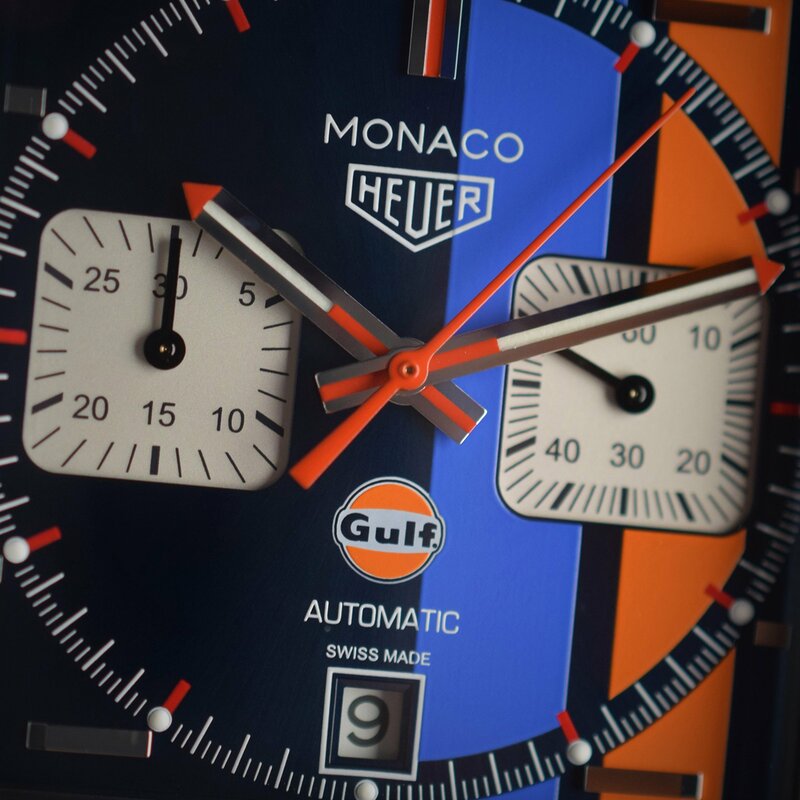 The Gulf special edition was made famous when Steve McQueen wore it in Le Mans in 1971, instantly becoming a timeless classic watch. In the film, Steve McQueen wore blue, white and orange Gulf stripes on his white racing suit, which is where the inspiration for this striking Tag Heuer watch came from. 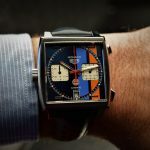 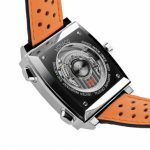 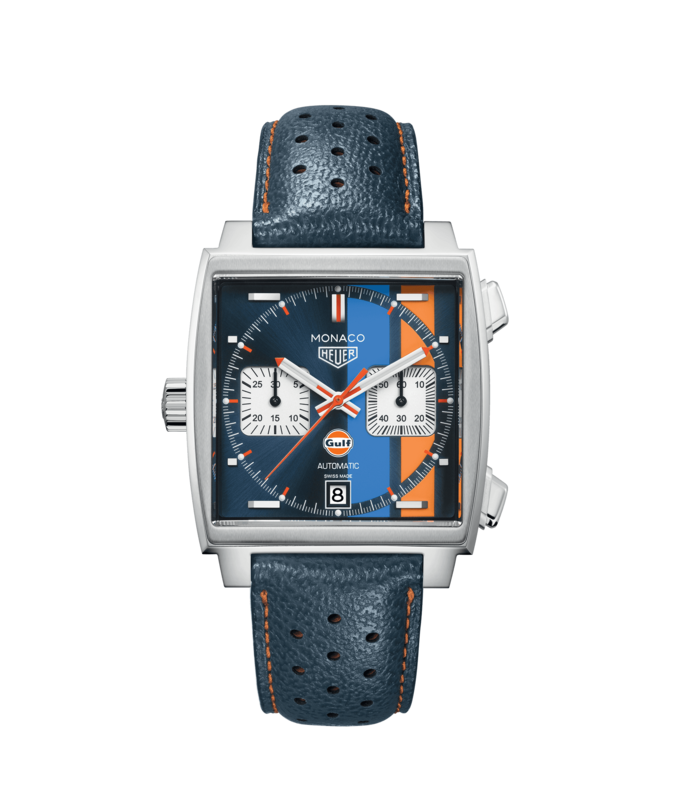 The AG Heuer Monaco Gulf special edition automatic men’s watch is presented on a blue calf skin strap with orange lining, this exceptional watch features a 39mm steel alternate finishing case with a fixed bezel. Beneath the scratch-resistant sapphire crystal sits the blue sunray brushed dial that’s enhanced by the Gulf stripes, a blue flange with a minute scale, rhodium plated polished, facetted and applied hour markers with white superluminova, red, rhodium plated and facetted hour and minute hands with white Superluminova and a red lacquered hand, finished with a date window at 6 o’clock and two chronograph sub dials. 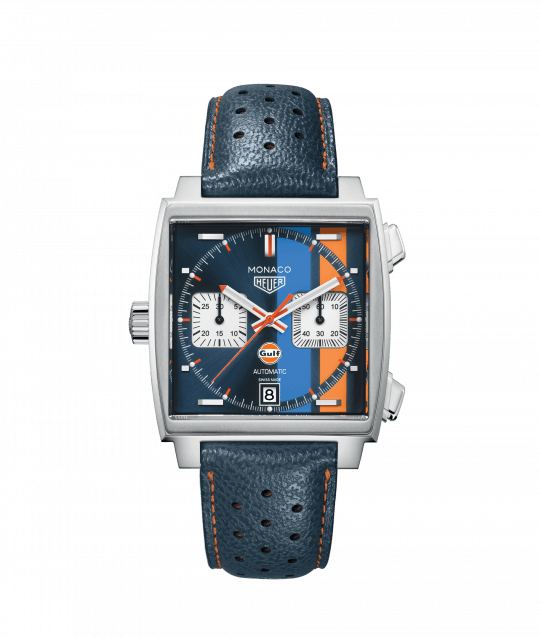 Water resistant to 100m, this watch is powered by an automatic movement with a TAG Heuer Calibre 11 and a power reserve of around 40 hours. 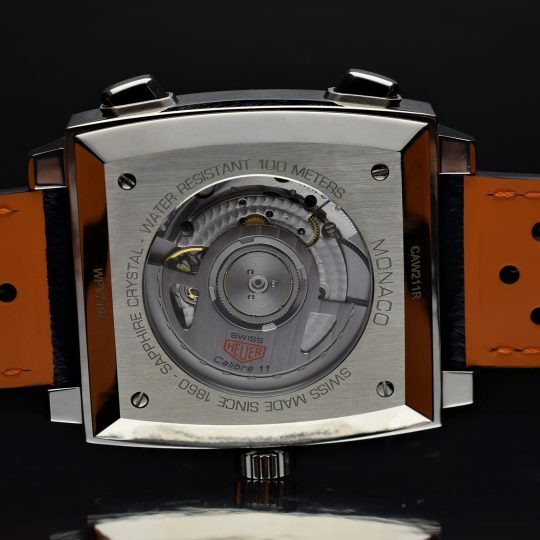 Truly special and unique, this Monaco watch is an exceptional collectors item for all sports fans. 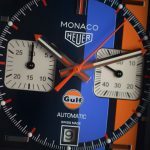 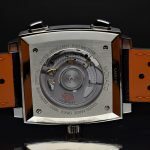 Tag Heuer Monaco Calibre 11 39mm Steel Alternate Finished Gents Watch has been successfully added to your shopping bag.